A high-tech gift that’s anything but. 3D printing is essentially a sculpture modeled or sculpted on a computer, with unbeatable detail and precision. With our state-of-the-art 3D photo system, we’re able to capture the likeness of anyone able to sit still for a few seconds (even if you have to bribe them with cake!). It’s a modern-day portrait, beautiful enough for display on Grandma’s mantel. Learn more about why we love to do this. With our portable setup, we’re able to scan on demand at parties, businesses, events or contact us to sign up for an appointment. Our pieces make a creative favor or gift—perfect for commemorating special occasions like graduations, birthdays, weddings and anniversaries. Want a unique gift idea. Our Fun Size Me 3D models and may be for you. Fun Size Me 3D specializes in providing customized 3D photography services for families. By utilizing the highest quality processes and surface modeling available, we capture precious moments in 3D space, and can create a sculpture-quality 3D heirloom portrait that can be passed down for generations. Want to share your 3D portrait on Facebook in full color? Using our 3D photo booth we can capture 3D images of your loved ones, and put them in an interactive, virtual reality application. We also specialize in fabricating 3D models and plaques for corporate businesses and donor recognition. EX. I want to create a 3D portrait of my grandchildren for their Mother for Mother’s Day. They are 4, 6 and 10 years old. Our highly skilled professionals use a portable, 3D photo system to capture you (your child, pets or your guests). The scan is uploaded to a computer and finalized using our specialized software, and then it’s sent to a 3D printer where layers high quality inks, and sandstone are used create a miniature replica of the photographs. The final product is a likeness of your loved one that is ready to take its place alongside your other family keepsakes and mementos. ​Due to the small size and details inherent in the sculptures, certain fine details such as strands of hair, fingers and slender accessories would break if we were to try printing them. Instead, our artists will interpret and reproduce these details separately. Hair remains difficult to capture accurately in 3D sculpting. To give hair an authentic look, we’ll manually detail it, so it looks like the original. We recommend people style hair in such a way that it can be captured as a solid. In the same way, jewelry and decorations that dangle or are extremely fine will not capture or print well. Transparent, semi-transparent and shiny accessories — items like eyeglasses with thin rims, veils, and reflective jewelry — are difficult to capture or 3D printed accurately. The scanning process is completely safe, and only uses LED light to capture your 3D image. The scanning process only takes a few seconds. We are also able to smooth out imperfections to make you look your best. We can also create logo designs and customized products. Please contact us to discuss your individual needs & if we don't get back to you within 48 hours you will receive a $20.00 discount on your initial scanning appointment. Describe your idea or what you'd like to FUN SIZE! 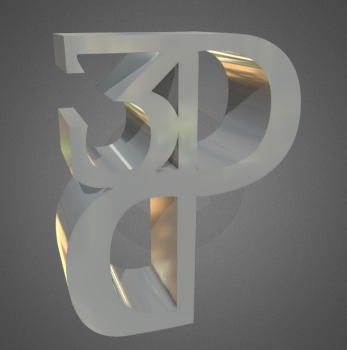 All 3D products except the gifs will be created in high resolution with bases and UV coating. N/A Purchase a print at a later date and deduct cost of the .Gif from the price. *Custom sizes also available up to 14"
Contact us today and we’ll make your next event unforgettable!